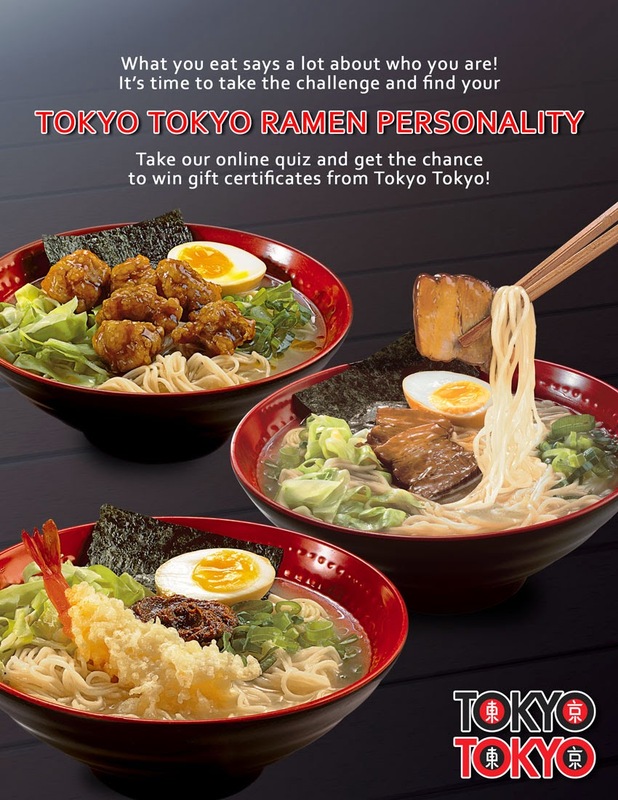 After taking the Tokyo Tokyo Ramen Personality online quiz, we now have a winner! You have just won for yourself P1,500 worth of Tokyo Tokyo GC's! the Braised Pork Ramen, the Spicy Chicken Ramen and the Tempura Miso Ramen. Thank you everyone for joining, and more raffles and surprizes to come, so always check us out on The Food Alphabet, who knows what food adventures might our way. Please expect an email on how you will be able to receive your prize.